According to recent data, 61% of Americans don’t keep track of their money. Even for those that do, many feel overwhelmed. I have designed for anyone who wants to improve how they manage their money, the 14-Day SMART Plan to Improve Your Finances! This simple self-improvement plan features one task to focus on per day. Based on my recent series on habits, you don’t want to overwhelm yourself by trying to do too much. I also recommend you participate with one other person. This will help you hold each other accountable, and maybe make a fun competition out of it! Studies show that you have a greater chance of completing this plan when you do it with someone. Below I describe each step in greater detail and also show you free tools that you can use. If you are interested in going even deeper, you can join the SMART Nation by clicking here and take advantage of the 4-Step System to Wealth and Financial Freedom. Day 1: Define what wealth means to you and develop your SMART Mindset. Wealth means different things to different people. It isn’t all about money. Wealth is actually a mindset and attitude. Why Is This Important? How You View Things, is More Important Than What You View! Having a SMART Money Mindset is 90% of the journey to Wealth and Financial Freedom. Your INCOME won’t be able to keep you where your MINDSET can’t hold you. That’s why so many athletes go bankrupt. You have to understand and master yourself, before you attempt to understand and master money. Life isn’t about money or things, it is about emotion and purpose. Having the SMART Mindset is understanding that your self-worth is not determined by your net-worth. This foundation is critical to your success. It has everything to do with our mindset and money mentality. What do I mean? I know millionaires who have more than enough money but are unhappy and rarely experience true wealth. I know others who aren’t financially independent but are some of the happiest people I know. In many respects, the people with less money are wealthier. How is that possible? Experiencing true wealth is coming from a place of abundance, to be truly alive and content. The secret to true wealth is gratitude. It is where you are no longer worried about anything else except enjoying life to its fullest and sharing what you have with others. When you redefine wealth in this manner, you realize that you are as wealthy as you make yourself out to be, regardless of how much money is in your bank account. You can click here to learn more about the true meaning of wealth. Day 2: Analyze your income and expenses. Before we start budgeting or planning on our finances, we want to first get an idea of where are we currently at financially. How much do you make? How much do you spend? 61% of Americans don’t know! Thankfully, with today’s technology, you can automatically track what comes in and out with ease. You can click here for some free financial tools to help. You can use excel, online programs, or computer software to do this. For this exercise we just want to know total income and expenses for the past year. Take this total surplus (or deficit) for the past 12 months and divide by 12. This is your monthly average. If it is positive, you are on the right track, if negative or close to zero, you have work to do. Remember, it doesn’t matter how much you make, it matters how much you keep! Next, assign every dollar you bring in to a spending category so you know exactly where your money is going. You can click here to learn more about how to budget and recommended systems you can use. Online budgeting programs and apps have made it more intuitive to track our finances. You can check from your computer or mobile device anywhere at anytime. My favorite program is an online SMART portal I use that connects all of my financial accounts, automatically downloads my transactions, helps me categorize and analyze my spending in real-time, and then creates a budget for me! I can then adjust my spending goals for each category and easily monitor my progress. With a few simple clicks much of the work is done for me! I also have it connected to my financial planning software where it helps me manage my overall financial health while getting a 360 degree view of all my financial activity. The whole purpose of a budget is to create smarter spending habits, but you can’t do that if you can’t see the big picture. Some may still feel this is difficult to do. One of the things that may be easy to do is just look at percentages as opposed to specific dollar amounts. I try to follow the 10/10/10/70 budget. 10% long-term savings, 10% short-term savings, 10% to charity, and 70% for expenses. You can just measure how much you spend by percentage and try to keep to it. After analyzing your spending, you may be surprised how much you spend on certain categories. Go through each one and look to see which areas you can cut back on. There are two types of expenses, fixed and variable. Fixed expenses are monthly fixed amounts like your rent, mortgage, insurance, etc. that can’t be easily changed. Variable expenses are discretionary expenses like food, entertainment, hobbies, etc. that you can change more easily. Separate the two and look to see which of your variable expenses you can cut back on. Only spend what you need, especially for food, clothing, and other entertainment expenses. Before you buy anything, wait 24 to 48 hours so you don’t buy on impulse and make buying decisions you will regret later. For fixed expenses, try to negotiate your monthly bills, expenses, and payments for lower amounts. You can do things like lower your cell phone, cable, or other monthly bills. For your mortgage, watch my video to see how you can cut your mortgage payments in half. Look to cancel memberships that you don’t use like you gym or other monthly bills. Use your budget to stay on track so you can save and invest more! Make sure your goals follow the S.M.A.R.T. Goal (specific, measurable, achievable, relevant, time-based) format. This will give you clarity on where you want to go! Studies show that goal setting is one of the most important keys to success in our personal and business lives. Setting proper SMART goals provides focus, prioritizes your resources and helps you make the most of your life. Make a habit of daily goal-setting and achieving for the rest of your life. Set S.M.A.R.T. goals with your co-workers, family, friends for accountability, and to provide encouragement and motivation for one another. Here are the most common financial goals that people have. S – Specific: Create goals that are clear and well-defined. Be as detailed and precise as you can. M – Measurable: Create concrete criteria to measure progress. If it isn’t quantifiable, it doesn’t exist! A – Attainable: Create goals that are realistic, not too difficult, or too easy. R – Relevant: Create goals that are appropriate and applicable to your mission and vision! Now that you know your goals, set a SMART Strategy and specific steps on how you will get there. In the 4-Step System to Wealth and Financial Freedom, I show you the exact formula you need to achieve perpetual wealth. On Day 2 we figured out where you were financially. Then on Day 5 we figured out where you wanted to go. Creating your SMART Strategy will help you answer how you will get there. Financial planning software will help you with your strategy. Click here to get more information on how to create a financial plan. Reach critical mass of investment capital to create the income you need, want, and wish for! Comprehensive Approach – Use the financial planning process to develop a comprehensive financial plan that solves your financial problems. This plan considers all aspects of your personal and financial positions. Encompasses several integrated and coordinated planning strategies, techniques, and expertise. Serves as a “Financial Quarterback” coordinating with wide team of specialists for the major financial planning areas. Congratulations, you are half way there! The goal for today is to pay yourself first. Author and historian C. Northcote Parkinson theorized that our demand for a resource increases to meet the supply of it. That is why when we are given two weeks to do a project it takes two weeks, and when we are given 8 weeks to do the same project it takes 8 weeks. That is why when given $1,000 to complete our work we get it done with $1,000 and when given $10,000 to complete the same work, it takes $10,000. The SMART Wealthy uses Parkinson’s Law as leverage and an asset. By taking our savings first, the money available for expenses lessens, and we are forced to find ways to get the same things done for less money. Most people spend and whatever is leftover they save. The problem is that no matter how much money we make, we will always find a way to spend what we have. We should reverse it and save for our financial goals first, then spend the money leftover for our bills and expenses. It doesn’t have to be a large sum to begin with. We can’t underestimate the power of starting small, especially if we make a SMART Habit of saving-first. 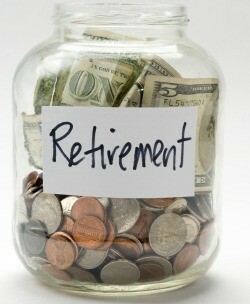 Have your savings taken out of your account and invested automatically so that you are not tempted to spend it. Make it automatic so we are not used to seeing the money in your account. You avoid loss aversion, take willpower out of the equation, procrastination, and frees up time! Over time this will build momentum and once we see progress, its reinforce our habit of saving and investing automatically. No matter how much you save, if you don’t have a good diversified portfolio, it may be for naught. Create your “perfect 10” investment portfolio, one that matches the benchmark model of wealth that continually renews itself, lasting virtually forever! To get more detailed information on how to create your “Perfect 10” SMART Investment Portfolio, you can join the SMART Nation by clicking here and take advantage of the 4-Step System to Wealth and Financial Freedom or contact WealthBridge Inc., a registered investment advisory firm. What does a perfect 10 portfolio for you look like? SMART Asset Allocation based on your risk tolerance, goals, time horizon, personality – Investing is putting your money to work for you and maximizing your earnings. You can’t control the performance of your investments…but…you can control what you decide to invest in. The most important investment decision you can make in is Asset Allocation, which is creating the optimal mix of investments and divvying up and diversifying your money. You want to invest in a SMART diversified mix of SMART asset classes to lower your risk exposure and maximize your investment returns. Dave Swenson Yale’s Chief Investment Officer:“[Asset Allocation] actually explains more than a 100% of returns in the investment world.” How? Because the fees, taxes, and losses that come with stock picking and market timing drag profits! SMART Investments – Once you selected your investment portfolio, which investments should you choose? Choose investments with low fees, experienced managers that are good stewards (personally own their own investments and act in the best interests of the shareholders), consistent and thoughtful investment strategies, and low tracking error (replicates the intended asset class) are just some of the things I look for. Investments will either have capital preservation, high return, or liquidity. No one investment has all three, the goal is to have a balance of investments that have all three! Path of stability – Ensure steady stream of income no matter what, with income-producing real estate and other assets that are steady no matter the ups and downs of the economy. Path of renewal – Continually add to the income stream by identifying fresh income sources. Practice continual innovative entrepreneurship to generate additional sources of income. Click here to learn more about the two paths to perpetual wealth! Lifetime Income Plan – Purpose of investing is to create lifetime income without working, so you and your future generations are financially free. We don’t want ONLY a SMART Diversified “Asset” Allocation. WHY? Can’t spend assets! You don’t want to be “Asset rich, cash poor.” Income is financial freedom! Lock down for sure the exact income you need and want. Income Insurance Investments – Guaranteed principle and income for life, upside growth potential without the downside, and tax-deferred! Click here to learn more about creating lifetime income for life! To learn more about investing, click here! This is the most important investment you can make. Commit to lifelong learning and be extremely valuable in the marketplace. Learn to work harder on yourself than your profession. Don’t focus on what you can’t control, but focus on what you can – how valuable you are to other people! Invest in your different types of wealth that we discussed in day 1. Create a plan to increase each type of wealth. You want to have “stable tables” to have balance in life. You can click here to learn more about the true meaning of wealth and also how you can take free online classes from elite universities! U.S. households have more than $15,000 in credit card debt. 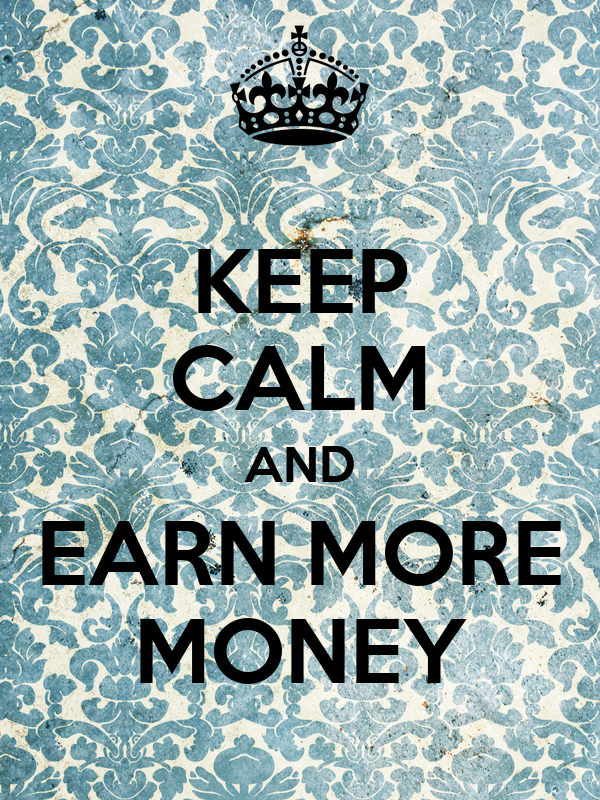 43 percent of Americans spend more than they earn. 14 percent of income is used to just pay interest on credit card debt. Overall, consumer debt has increased by more than 1,700 percent since 1971! Add up all of the debt you have. All debt isn’t equal however, some good debt can be mortgage, student loans, and certain types of investments where you are using other people’s money (OPM). Bad debt are high interest loans and loans that are paying for a depreciating asset such as a car. As part of your SMART Strategy look to aggressively pay your bad debt down first, and then your good debt. Debts are also categorized between installment and revolving debt. Creditors want to see a combination of both for an optimal credit score. If you are looking to raise your credit score, paying off certain types of debt over others can get you the best credit score value. Click here to learn more about which debt is best to pay off first. What is the best way to pay off debt? There are two main ways to pay off your debt, the debt-snowball method or high-interest method. Click here to learn more about the two methods! If you are having to deal with debt collectors, thankfully there are laws to protect you. We all have to deal with risk, the possibility of losing our assets, income, or wealth. You can either ignore it, try to avoid it, manage it, or transfer it. When you purchase insurance, you are transferring the risk to someone else. Many times, this is the best option to take. SMART Insurance can help you protect your hard-earned assets. Click below to learn more about the different types of insurance. How much insurance should you get? Join the SMART Nation by clicking here and take advantage of the 4-Step System to Wealth and Financial Freedom to learn more! Life Insurance – Pays out cash after you die, allowing loved ones to be financially secure. Life insurance payments can be used to cover daily expenses, mortgage payments, outstanding loans, education, other essential expenses. Proceeds are tax-free! Auto Insurance – The law now states we all need to get auto insurance. Unfortunately there are many who still do not have insurance or are uninsured. Make sure you get the right policy to protect you and your family. Disability Insurance – What would happen if suddenly, due to an illness or injury, you were unable to work? That’s where disability insurance comes in. Think of it as insurance for your paycheck. It ensures that if you are unable to work because of illness or injury, you will continue to receive an income until you’re able to return to work. Long-Term Care Insurance – People are living longer but unfortunately in poorer health. Long-term care costs are increasingly beyond reach and many don’t want to be a burden to family. Long-term care insurance can help you protect your hard-earned assets and have your wishes carried out. Liability, Homeowners, Renters, etc., Insurance – In today’s litigious society, many sue just to gain an extra buck. In addition, you can become a victim of burglary or natural disasters. These types of insurance can help you protect against these types of losses and lawsuits. Professional, Business Insurance – If you have struck it out on your own as an entrepreneur, congratulations! Make sure you have the right type of insurance to cover your business, employees, and property. Your credit report and credit score is one of the most important things to manage. Click here to see the answers to your top credit questions. Not only is it important for you, it is also important to banks, employers, landlords, insurance companies, utility, cable, and telephone companies, and other financial institutions. With so much at stake with your credit score, it is important to maintain a good score! Your credit score can range from 300 to 850. If your score is above 760, you are in the upper echelon and will most likely get the best rates. A score below 620 places you in the sub-prime category with higher interest rates or even denial of credit. The difference between the best rates from the sub-prime rates can be hundreds of thousands of dollars for a mortgage! In 2006 the three main credit bureaus joined together to create another credit scoring model called the VantageScore model. The purpose was to use a more advanced credit model and analytics to determine a credit score. The VantageScore now uses the same scoring range as the FICO score. Here are some other ways lenders judge you. Check it regularly and take steps to raise your score. Click here to learn how to improve your score quickly. Another big issue is credit fraud. Every year total losses of identity theft is $50 billion dollars! Don’t be one of the 11.1 million adults who are victims of fraud. Take these steps to protect your identity. In 2013 there are 1426 billionaires in the world. 960 were self-made with 830 from multiple business ventures. The research found that 90% of the income of those who today have achieved perpetual wealth comes from a business that is significantly controlled by the individual. On day 8, we talked about your “perfect 10” SMART Portfolio and the two paths to perpetual wealth. In addition to path of stability, the path of renewal is important and crucial to long-term wealth. Everyone needs someone to help them. Even the SMART Wealthy use advisors to help them find opportunities, increase your investment returns, create plans, and hold each other accountable to stick to their plan! Who should you trust to help you with your finances? It all boils down to one thing: Do they have your best interests at heart? Or theirs? How do you know? Suitability – Does not have to be in your best interests or the best available. By legal definition, all they have to do is provide products that are “suitable”. There are conflicts of Interest! I recommend you work with a fiduciary advisor. They are also known as Registered Investment Advisors (RIA). They have a legal and ethical responsibility to act in your best interest at all times and disclose conflicts of interest. RIAs must adhere to higher standard of full transparency. Below shows the basic differences between standard brokers and RIAs. Remember that the goal is for you to become rich, not make your broker rich! Click here to get a complimentary financial review from an RIA! Sales Professional. Intermediary and agent between buyer and seller to “broker” transactions. Connect investors to investments. Generally short-term relationships focused on trades and transactions. Suitability Standard (Lower) – Only need to reasonably believe that any recommendations are “suitable” for clients. Duty is to the Broker-Dealer they work for, not necessarily client served. Can legally put their interest above yours, not disclose conflicts of interest. Fiduciary Standard (Higher) – Legal and ethical responsibility to act in your best interest at all times and disclose conflicts of interest. Must adhere to higher standard of full transparency. Bound to the fiduciary standard by the SEC and/or state regulators by Investment Advisors Act of 1940. A financial planning and/or investment education background. Fee-based, hourly or fixed fee, management fee based on assets under management. ← SMART Habits of the World’s Smartest People!